Many families use their basements as family rooms, media rooms, offices, and extra bedrooms; therefore it becomes more important to keep this space dry. All nasty things happen at the most unsuitable moment. It is very unpleasant to have a flood and you have to act quickly in order to solve the problem immediately. Water damage may result from overland flooding generated by rainfall or snowmelt and sewer backup. Sewer backup causes basement flooding when storm sewers get overloaded and can’t carry water runoff. It is easier to prevent a situation than to solve it and we are here to help. You can prevent or at least reduce the chance of flooding by installing flood protection devices. City Rooter specializes in the installation and maintenance of these flood protection devices. Backwater valve is a simple device for effective prevention of the sewage in an overloaded main sewer line from backing up into your residence or commercial building. 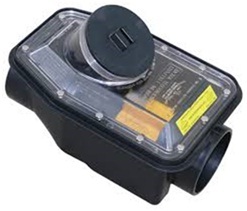 It is a one-way valve and it automatically closes if sewage backs up from the main sewer. The National Plumbing Code requires installation of a backwater valve on all new buildings when you have fixtures installed below the adjoining street. The majority of older homes are still at risk of basement flooding via sewer backflow. A Sump pit drainage system includes a sump pit, a sump pump and a pump discharge pipe. 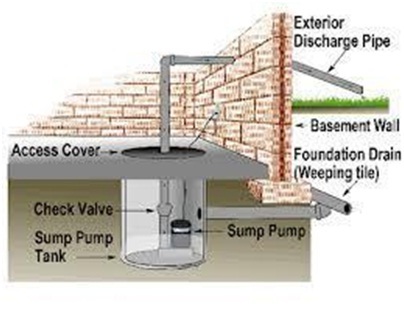 Installation of a sump pump is a great way to reduce or even eliminate wet basement problems. This drainage system removes the water that accumulates in your basement and sends it away from your residence or commercial building to a municipal storm drain. Basement Waterproofing with a Backup Sump Pump will help you to keep your basement from flooding. 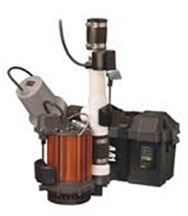 Installing a backup sump pump in your sump pit protects your property during a power outage, in times of excessive rain, or in the event when your main sump pump fails. A backup sump pump is a system used to protect your basement from flooding when the main sump pump isn’t operating. If any of the basement waterproofing systems are missing or compromised, water may collect around the house and seep through the foundation or floor. The cause of a wet basement may be hard to determine and costly to fix. Installation of flood protection devices will provide peace of mind to all homeowners who have experienced problems with flooding. To assist homeowners, the City offers a financial subsidy. Owners of single-family, duplex and triplex residential homes can receive up to $3,200 per property to install flood protection devices such as a backwater valve, a sump pump, and pipe severance and capping of the home’s storm through its basement. For all your inquiries contact City Rooter at 647-534-6875 or contact us online and our trained professionals will be happy to assist you. Give us a call today to discuss your plumbing needs. (647) 534-6875 – We are here to help! Book an appointment with your local plumber today! Tell us about your plumbing system issues. We look forward to serving you. © 2017 City Rooter Inc. All rights reserved.